Mercedes-Benz India has launched its performance SUV GLC 43 Coupe in India. The pricing for the Mercedes-AMG GLC 43 Coupe has been kept at Rs 74.8 lakh ex-showroom. 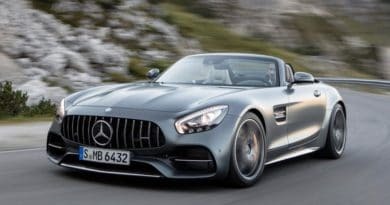 Mercedes-Benz India is really pushing it’s 43 AMG series engine into its Indian performance car portfolio. We already have cars like CLA 43 AMG, GLA 43 AMG, C 43 AMG, SLC 43 AMG and now we get the GLC 43 AMG Coupe. In future, we are also expecting the E 43 AMG. The GLC 43 Coupe houses a 3-litre bi-turbo V6 engine that produces 362 PS of power and 520 Newton metres of torque. In spite of being an SUV, it performs like a sports car. Its 0 to 100 kph time stands at just 4.9 seconds and the top speed is electronically limited to 250 kph. Like all the latest AMG models, this is an all wheel drive vehicle featuring 4-matic technology. The regular GLC rides on air suspension, and the AMG version is no different. The engine comes mated to a 9-speed 9G-Tronic gearbox. There are driving modes like Comfort, Eco, Sport and Sport+ so that software can play around with the 9 gear ratios to deliver a more versatile driving experience. Unlike the traditional SUV, the GLC 43 AMG gets a sloping roof line similar to the GLA coupe. It looks fantastic with its AMG specific body kit that includes lots of carbon fibre elements and quad pipe exhaust set up at the rear. Step inside, and you will find Carbon fibre there too. The entire Centre console has a very sporty Carbon fibre finish. It gets a flat bottom sports Steering Wheel with AMG badging. That said, don’t expect lots of room inside the cabin because the sloping roof line takes away some of that for the rear passenger. The boot space is reduced compared to the regular GLC. Even the company accepts that the practicality is slightly compromised for styling in the case of GLC AMG Coupe. 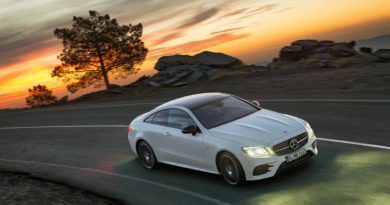 The GLC 43 AMG Coupe offers a good value for money. There is no SUV in the market that offers good fuel economy along with sports car like performance.